5 tips on how to get healthy after the holiday period. To ensure you don’t totally derail your healthy routine entirely now that the holiday season is well and truly over, the team at Voome have shared their tips on how to keep fit and healthy during the holiday period. Voome are the Sydney experts in fitness and nutrition and the same team which created Michelle Bridges 12WBT program of health and fitness. It’s inevitable that most people will heap on a few (or more) extra calories over the holiday period. So, now we have come to the end of the holiday season, it’s time to get your fitness and health back on track by getting back into a regular routine of exercise and being more mindful about the food you eat. Working out in the morning is ALWAYS our go-to. That way, you can get it over and done with early giving you the energy to power through your day. Try to sticking to an exercise routine you know you can commit to; whether that means an early morning walk, a jog on the beach, a swim, or a mini workout in your lounge room before work. Morning walks are our favourite, as they help get the body ready for the day. We get it, it’s hard not to enjoy all the delicious types of food you may have been eating over the holiday season. Now is the time to stop the indulgence and start planning your healthy meals. Homemade salads of either fruit or vegetables and protein smoothies are great this time of year, when the summer sun is beaming hot. Make meals easy to plan, so you can easily prep now that you’re back at work and full swing again. Once your plate is full, it’s full. We know it is sooooo tempting to go back for seconds and thirds of the ‘special’ foods, but fight the ‘fear of missing out’ syndrome. This is a hard habit to kick, if you have been indulging on hotel buffets whilst travelling. Try and half fill your plate with salad or vegetables, keep your protein to palm sized and your carbs to no more than ¼ of the plate. That way you can enjoy a small serve of dessert guilt free, whilst trying to get back into a healthy routine. Time to ditch the cocktails and glasses of prosseco for fresh juices and alcohol-free drinks. If you still have a few summer festivities on, even though the holiday period is now over, switch your alcoholic drinks for mocktails. A good tip is to alternate your alcoholic drinks with non-alcoholic ones. Sparkling mineral water with fresh lime is our favourite for this (and everyone will think you’re having vodka sodas, shhhhh). A healthy attitude is key. Remind yourself that each time you make a positive choice, you’re making a big difference to how you’ll look and feel in the new year. The holiday season is always about having fun, relaxing and enjoying a more flexible diet and fitness routine, but if you don’t use the new year as a way of re-adopting a positive attitude towards your health after the holiday season, it’s easy to fall behind and not get back on track. For access to 1000+ healthy recipes from Michelle Bridges’ 12WBT program plus a huge collection of short, at-home workouts, check out Voome. 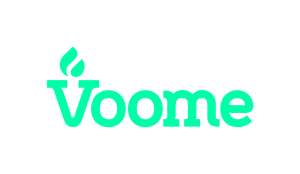 From the team that brought you Michelle Bridges 12WBT, Voome are the experts in fitness and nutrition.